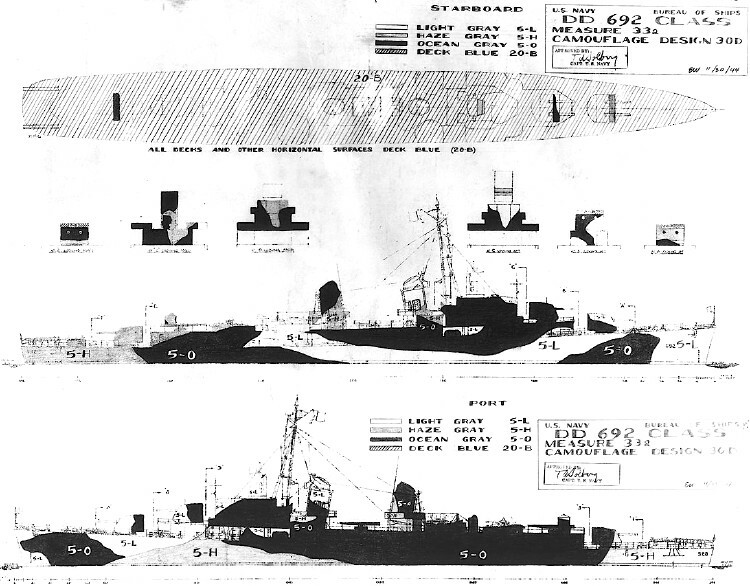 Drawing for Measure 33a Design 30D for the Allen M. Sumner class destroyers dated November 30, 1944. 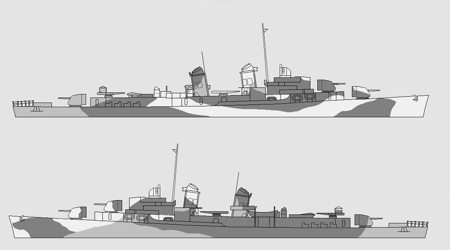 The vertical colors are ocean gray (5-O), haze gray (5-H) and light gray (5-L). Original drawing source: NARA 80-G-104905 and 80-G-104906.